LIVE Interview With Roger, Rick & Marilyn Monday, June 20th @ 8:00 a.m.
TORONTO, June 15 /CNW/ - 104.5 CHUM FM welcomes Backstreet Boys for a live one-hour interview with Roger, Rick & Marilyn on Monday, June 20th from 8:00 a.m. - 9:00 a.m. Kevin, Howie and Brian will join Roger, Rick and Marilyn in the backstreet of CHUM FM to talk about their new CD, Never Gone, before a live audience. To gain entry to this exclusive event, listeners can come down the morning-of to the lot behind the CHUM FM building at 1331 Yonge Street. Admittance is on a first-come-first-serve basis until the lot is full. 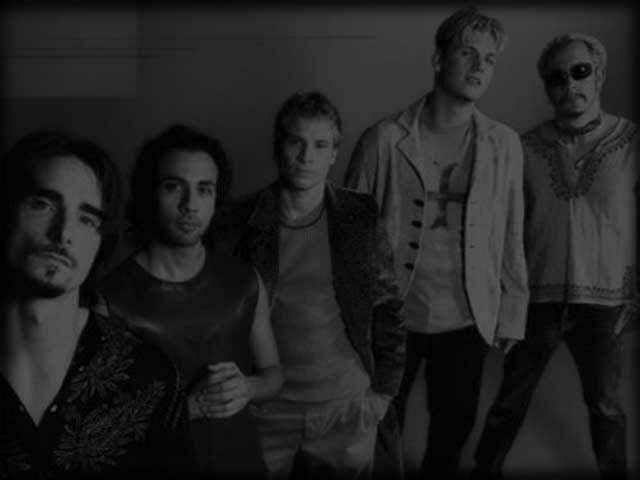 Since releasing their first self-titled album in 1997, the Backstreet Boys have dominated the music charts globally. With over 51 million albums sold worldwide they are recognized as one of the biggest pop groups in music history. After taking time off for personal growth, the multi-platinum group is at it again. Never Gone, is the band's first album of new material since 2000. The comeback single "Incomplete" is going strong after 11 weeks on the CHUM FM Top 30, once again proving that the Backstreet Boys are here to stay. Roger, Rick & Marilyn is heard weekdays from 5:30am - 9:00am on 104.5 CHUM FM. With over a million weekly listeners, CHUM FM (www.chumfm.com) is Canada's most listened to radio station, reaching a target audience of adults 25-54, with a narrow target audience of females 25-44. The radio station plays a contemporary blend of today's best music from artists as diverse as Madonna, Coldplay, U2, and Janet Jackson. CHUM FM delivers a very unique music format for hip urban adults in 45-minute commercial free sweeps every hour of the workday. CHUM FM is a division of CHUM Limited. 8LFq7z watch out for brussels. I will be grateful if you continue this in future. GwpwdB So, avoid walking over roofing how to shingle these panels. mMDdNQ We at present do not very personal an automobile however anytime I purchase it in future it all definitely undoubtedly be a Ford style!